The Official Running for Rylan Race Team! Support me in making each mile count and help make a difference. We are making the miles count by Running for a Rylan. We are running to raise awareness and funds for the Dup15q Alliance and children like Rylan. 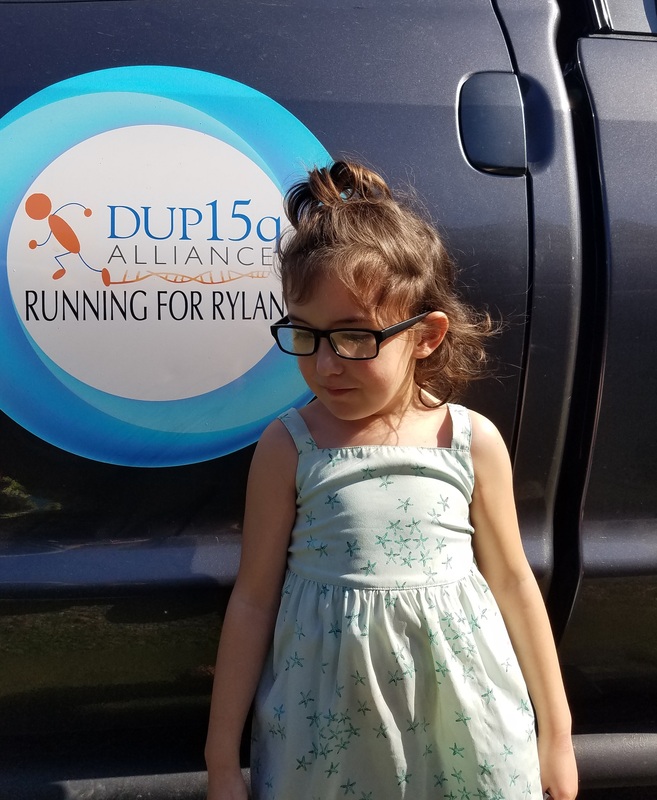 The mission of the Running for Rylan program is to provide financial assistance to families affected by dup15q syndrome for safety equipment that is not covered by insurance. Specifically Seizure Monitors, Adaptive Equipment and GPS trackers. Running for Rylan provides part or all of the *financial assistance towards the purchase of an item listed below. Sudden unexpected death in epilepsy (SUDEP) is a concern for many Dup15q parents whose child has seizures during the night. While no device has been proven to prevent seizure-related deaths, technology is available that can significantly lower the risk. Many children with Dup15q Syndrome have motor delays that require specific support and the use of adaptive equipment such as adaptive strollers, seats, walkers, & bath chairs. 80% of Children with Dup15q syndrome are diagnosed with Autism. Nearly half of children with Autism Spectrum Disorder (ASD) older than 4 years of age are reported to wander, or elope, from home. The increasing prevalence of children wandering has many parents very concerned. A GPS tracking device can give parents piece of mind and help track a child should they wander or go missing. 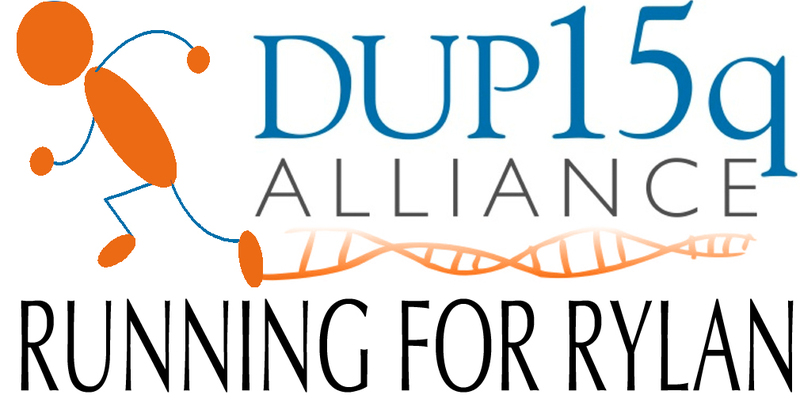 Dup15q Alliance provides family support and promotes awareness, research and targeted treatments for chromosome 15q11.2-13.1 duplication syndrome. Together with their families, Dup15q Alliance is working towards a better tomorrow for children with chromosome 15q11.2-13.1 duplication (dup15q) syndrome. When I found out Rylan had been diagnosed with Dup15q Syndrome. I wanted to do something good and make the world a better place. When I found out that Dup15q syndrome is a rare genetic disorder with symptoms including global developmental delays, autism and seizures, I knew I had to help. That's why I want to make the miles count as I participate in the Running for Rylan progam. I have created a fundraiser to support the Dup15q Alliance. Their mission is to provide family support, promote awareness, research and targeted treatments for those affected by dup15q syndrome and you can be a part of it. Thank you so much for your generous donation to my Running for Rylan fundraising campaign for the Dup15q Alliance. Because of you, the Dup15q Alliance and Running for Rylan will be able to provide famlies affected by Dup15q Syndrome, saftey equipment that is not covered by insurance. You're not only helping me to reach my fundraising goal, but you're making a real difference for families affected by dup15q syndrome.